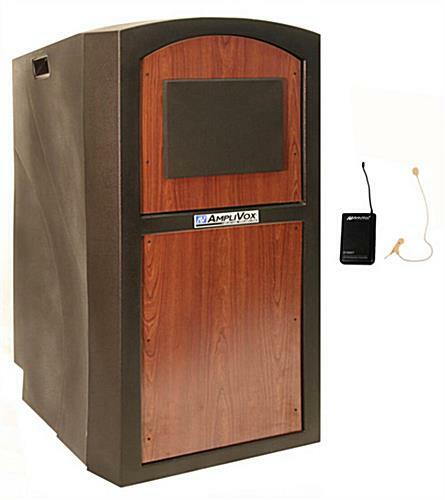 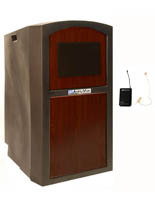 This outdoor podium for graduation ceremonies, weddings, sermons, conferences, and other events that take place outside comes with its own wireless sound system. 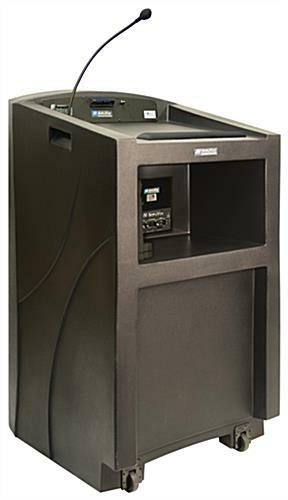 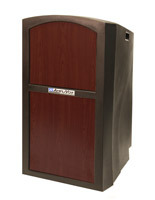 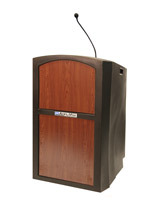 This lectern includes a built-in 50-watt wireless amplifier for multimedia, and two 6" x 8" speakers. 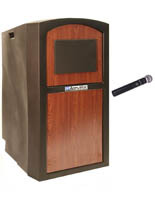 In addition, this presentation stand has a wireless lapel microphone, and Bluetooth® technology. 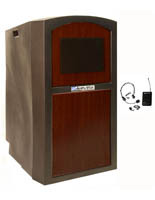 A wired gooseneck mic is connected via XLR output to the amp or an additional sound system apart from this unit. 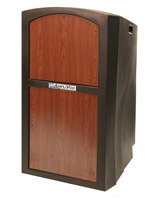 This executive quality pulpit looks like cherry wood, but it's constructed of water-resistant polyethylene material that stands up to the elements. 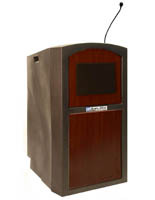 This outdoor podium with microphone includes every component necessary for presenting to a large crowd -- including a built-in digital timer and LED light. 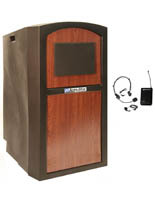 Included also in this package are audio interface cables for hooking up projectors and computer laptops. 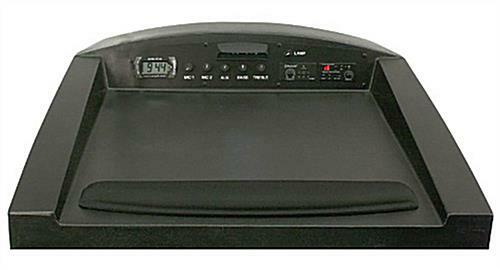 A convenient shelf supports multimedia devices.